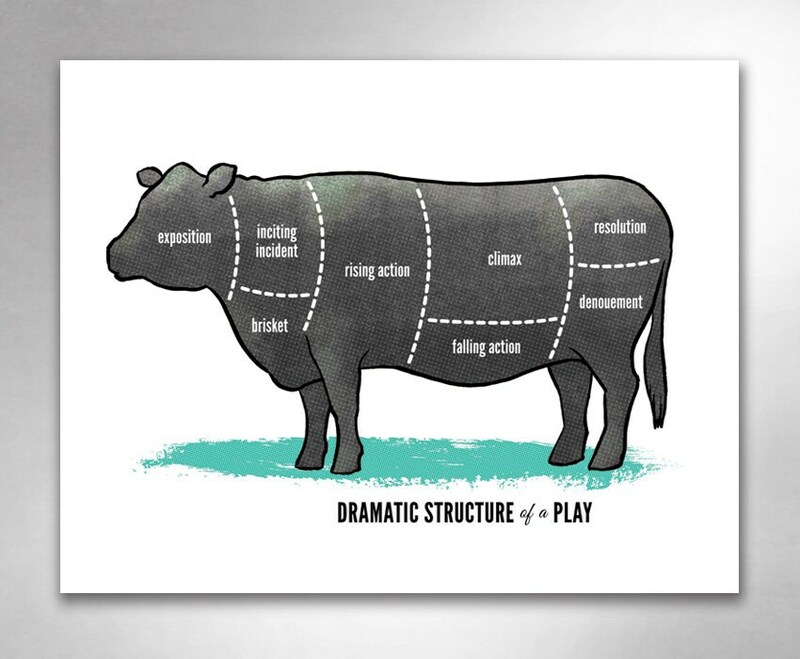 "Story Writing Diagrams" includes two art prints by Rob Ozborne. 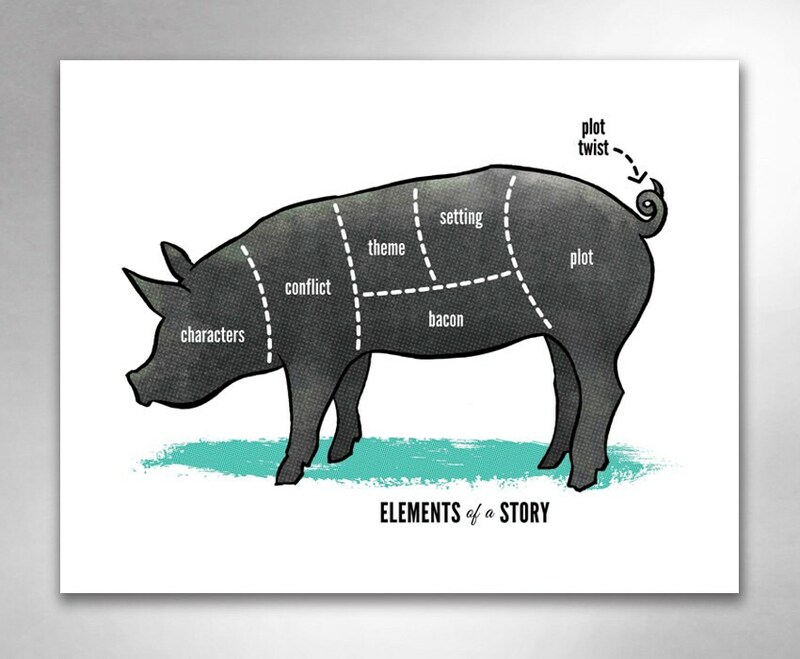 THE STORY: For the writer and story enthusiast, these guides to the story elements and dramatic structure are a visual feast. Plus, bacon! 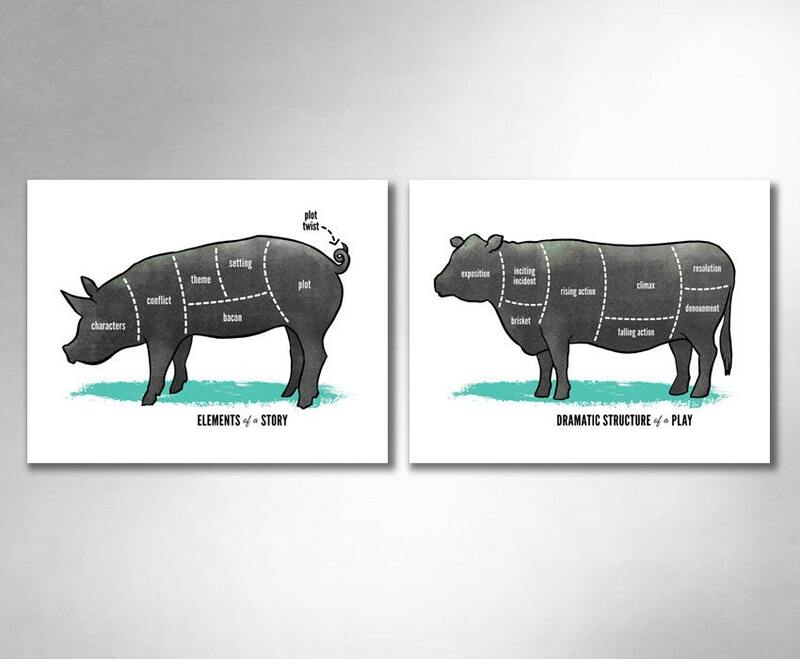 THE PRINTS: The artwork is richly printed on bright white matte art paper. The frame is not included, but the print comes with a white border, and is ready to pop into a frame.